More friends and a blog: Sometimes when you move..
you uncover treasures such as a magazine from long ago, featuring your first crush. 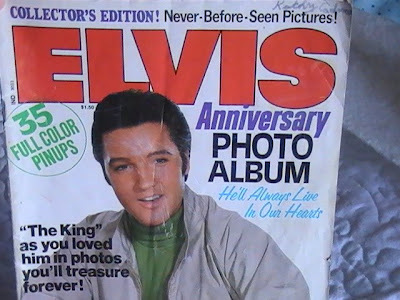 I was 7 when I decided I would marry Elvis when I grew up. I was heartbroken to learn that he had died and shocked when I found out that he was much older than I thought. Why, he was even older than my dad! 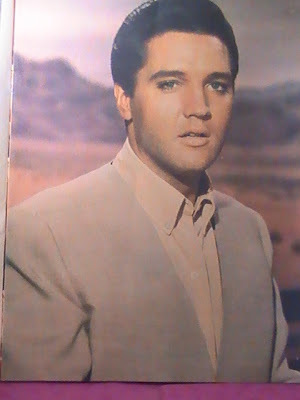 The Elvis from the movies I watched on Sat. afternoons appeared to be about 20 years old to me (but hey, what does a 7 year know?). 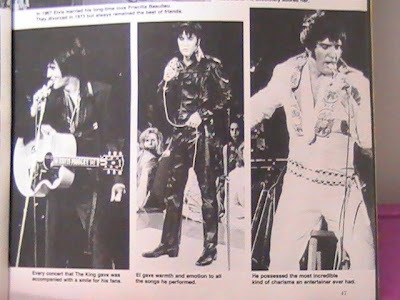 Hopefully, this peek at the photos in the collector's magazine will help Samantha get past thinking of Elvis as the guy who always wore sequined jumpsuits! 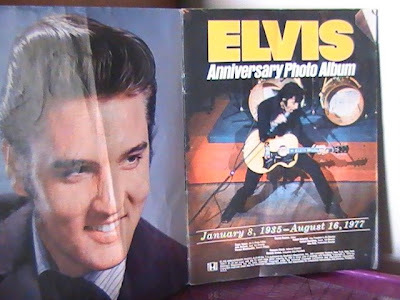 Every year on the anniversary of his death, my sister and I would be allowed to stay up late to watch Elvis movies on t.v. This year, I think I'll just pop one of his movies into the dvd player to watch after I repack this old magazine away for safe keeping. 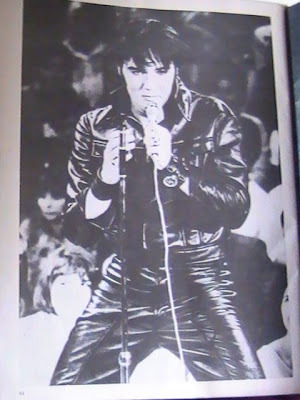 Thank you for the black leather pic, looks like it was taken during his '68 comeback special concert - a favourite of mine. I also remember when he died, I was actually here, having a vacation at my Grandma's house - just her and I. We were eating dinner on t.v trays and saw it on the news, it seemed unbelievable that he was no longer alive. Too funny! I totally thought of Heather when I saw the black leather photo. Aw. 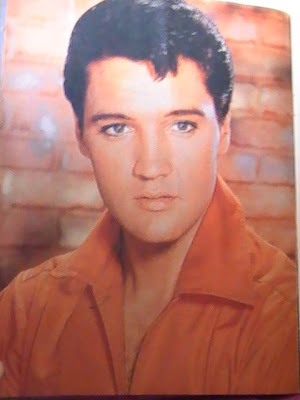 Seeing Elvis always makes me vaguely sad. He was such a hottie in his younger days. My first "I'm going to marry him when I grow up" crush was Elton John. And look where THAT would have got me. 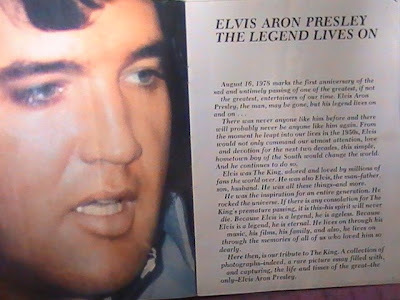 I remember being in a Winnebago on my way from summer camp in near Chilliwack to holidays in Victoria, when we heard over the radio " The King is Dead!". 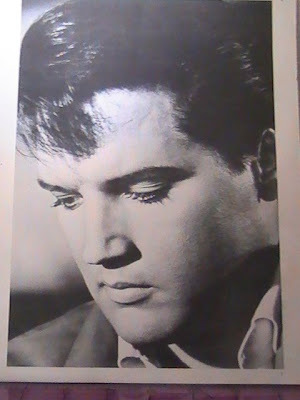 Oh Elvis. I am so in on the reunion Elvis movie night.